CAPE CANAVERAL, Fla. – Space Tango, Inc. launches a second TangoLab facility on August 14th at approximately 12:31 PM EDT aboard a SpaceX Falcon 9for NASA’s Commercial Resupply Service-12 (CRS-12) mission. The additional facility doubles the company’s available capacity on the International Space Station (ISS). The facility, accompanied by twelve payloads, will be installed on the ISS and controlled autonomouslyfor the duration of the approximate 28-day mission from Space Tango’s headquarters in Lexington, KY. The TangoLab-1 facility, installed on the ISS in August 2016, allows Space Tango clients and partners to build high-performance and reliable experiments that can be designed and tested in microgravity. The addition of the second facility on the ISS is instrumental in expanding Space Tango’s commercialization pathways. Space Tango provides exclusive microgravity experimentation services to its increasing portfolio of customers and partners. For the CRS-12 mission, the two TangoLab facilities will house and control twelve research payloads that include a wide range of engineering, life science, exomedicine and research and design (R&D). 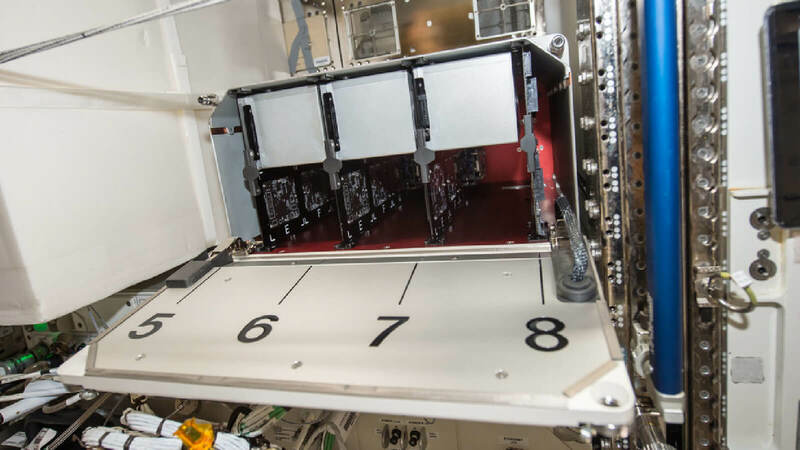 “These payloads could unlock advancements in plant biotechnology, long-term radiation shielding, carbon dioxide regulation, and bacterial antibiotic sensitivity that only occur within a microgravity environment,” described TangoLab Program Manager Gentry Barnett. The Dragon capsule carrying Space Tango payloads and TangoLab facility are expected to arrive at the International Space Station the morning of Wednesday, August 16th. Space Tango successfully continues to commercialize microgravity as a result of continued support from the Center for Advancement of Science in Space (CASIS) and the National Aeronautics and Space Administration (NASA). Oxygen output and carbon dioxide intake of a cactus sempervivum will be measured and evaluated to provide information on how to improve the efficiency of carbon dioxide regulation of long-term space travel. The International Space School Educational Trust (ISSET) in partnership with King’s College in London lead this endeavor. A series of four payloads will explore the process of seed germination and initial plant growth of three different plant species. The enclosed payloads will simulate all environmental conditions necessary for proper growth. Successful implementation could uncover novel genetic expressions, plant morphologies, and biotechnologies relating to the specific plants. Bacteria growth of E. coli in the presence of two antibiotics will be evaluated to investigate if microgravity could affect cellular and/or systemic responses in comparison to terrestrial control models. The CRS-12 mission includes three additional payloads whose purpose is internal to the Space Tango team with the intention of substantial technical and/or scientific advancement. Space Tango provides an work environment that encourages the pursuit of answers – on this planet and elsewhere.